Not paying any attention to time, due to rain, I took a brief look outside and saw a beautiful sunset happening. Unfortunately by the time I got to my destination, which would be the Loxahatchee Slough, the sun had set. 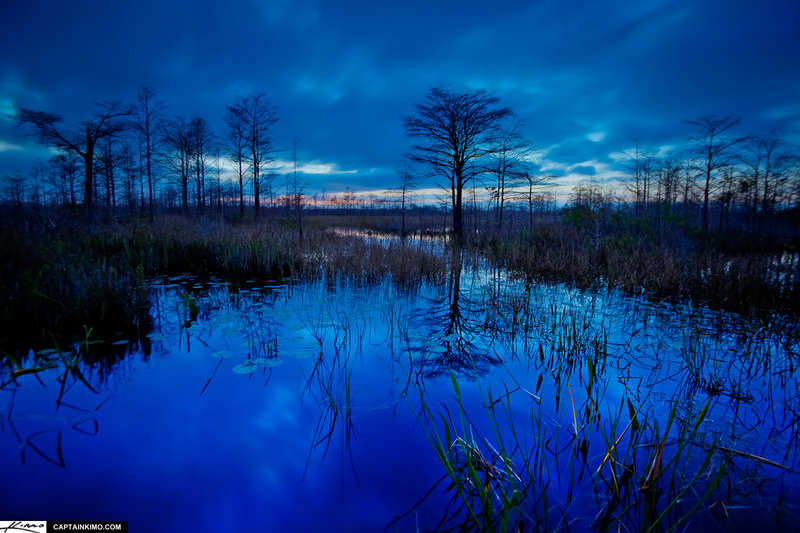 But a few minutes after the sunset a deep blue cast covered the wetlands. I would have gone in further to get some better shots but I didn’t bring my waders.